Located in the historic district of Carlisle, this unique shop carries a variety of local artists' work including paintings, fine jewelry, textiles, pottery, metalwork, wood carvings, clothing and food items. Historians will love their collection of reproduction photographs and books, including information on the Carlisle Indian School. The shop also offers Dickinson College items. 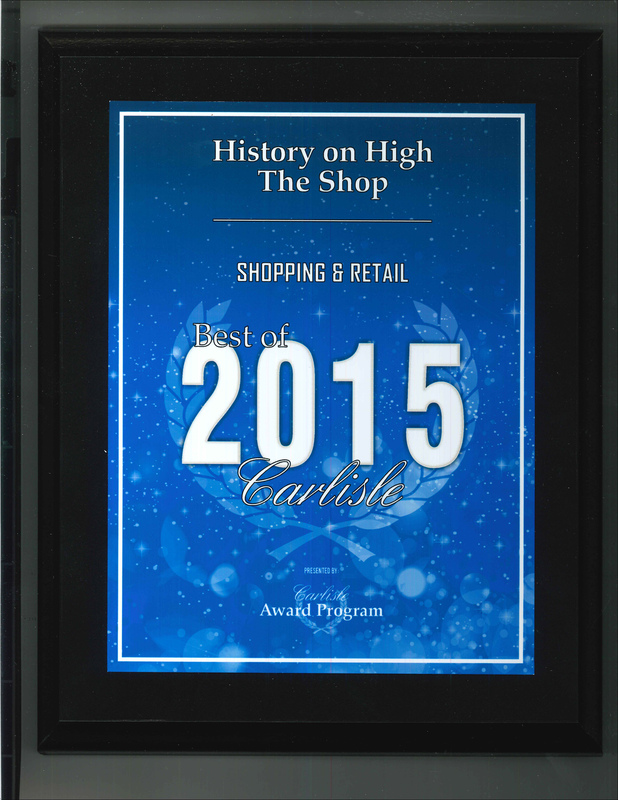 History on High recently received the 2015 Best of Carlisle Shopping and Retail award. While visiting the shop, be sure to pick up maps, brochures, walking tours and other information in the Cumberland Valley Visitors Center. Made in the Valley Products: Many of the artisan goods carried in the shop are from Cumberland Valley.